How much time could you save with FAQs and information sheets? This week I went to my dentist, Harmeet, because I had a very sensitive tooth. Drinking liquid was not pleasant. After a quick inspection and asking me to grip an object with my teeth and release, Harmeet concluded it was most likely a cracked tooth and that he would refer me to my local endodontic dental specialist for further tests. 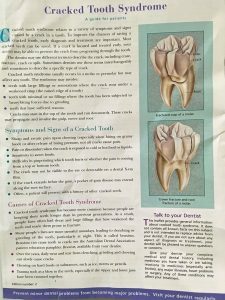 I started to ask him questions about my cracked tooth and as I did he went to his filing cabinet and pulled out a fact sheet on cracked teeth (see right). The fact sheet had all the basic information I needed to know about my tooth. Why would the dentist waste his time talking to me about something I can read about myself? It makes good basic business sense. 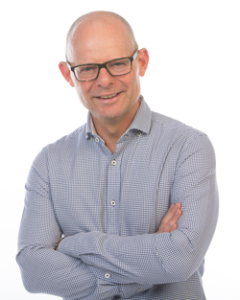 The same business sense applies to recruitment consultants and the many conversations they have with candidates where the same information (more or less) is repeated time and time again. Do you produce similar fact sheets or FAQs, both in hard copy and via a link to the relevant section of your agency’s website? These documents could save you, cumulatively, days of time. Of course you don’t (and shouldn’t) be the provider of all this information and all these documents. For many of these documents you just need to supply the appropriate website URL for the person to visit for more information. How much time could you save with information sheets and FAQs?